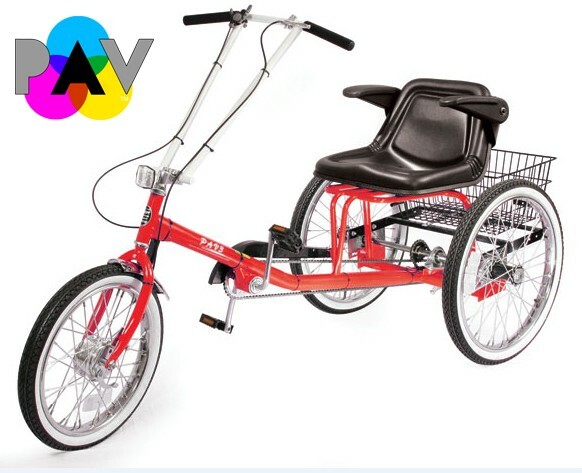 Personal Activity Vehicle with 3 speed coaster (foot) brake, and front drum brake. 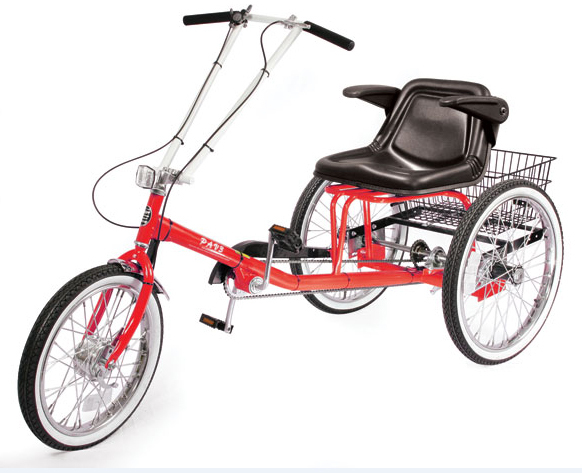 The Ultimate Comfort Trike built "Worksman Tough". This Worksman tricycle was purchased for my daughter to help with physical therapy on an injured leg as well as to be enjoyed. The PAV3-3CB is a quality, sturdy bike that rides very well over the rough terrain in our rural yard. I couldn't be more pleased with the product and the whole family has been able to enjoy it. I'm positive that with continued effort, it will help my daughter get her mobility back and allow her to enjoy being out and about in nature like she used to. It's very handsome and was easy to finish putting together, I think it's going to be a part of the family for a good, long time. Many thanks to everyone at Worksman, the whole ordering experience went very smoothly. For personal fitness I wanted a bike but at 65 was concerned with the safety issues of a two wheel, and did NOT want one of those dorky three wheel trikes. I found the Workman PAV 3 and am on my second set of tires! This is truly a vehicle, and since I upgraded to the three speed transmission my bike is better than ever. I've named her the Lipstick Express, added a small crate so my pup can ride along. I highly recommend this bike, it is solid and reliable. The quality in manufacturing is superb. Thanks, Workman! I bought this For Lisa Coleman of my city in the hopes that she may shed 200+ pounds. I have not seen the trike in person, but Lisa seemed very happy with it except for the cup holder option. I'm hoping that she sticks with it and loses the excess weight that she gained after an automobile accident, thyroid problems, and several years of being bedridden and in physical therapy. Thanks for the speedy filling and delivery of this order. I really enjoy this Trike. A lot of fun to ride. I started to buy one of their regular Trikes. I then did some research and found that adult tikes have issues that the PAV does not have. I wish they had an area that helped you analyze your needs.